I found your listing on AgentMarketing. Please send me more information about 28-3311 Beach Road in Pepeekeo as soon as possible. 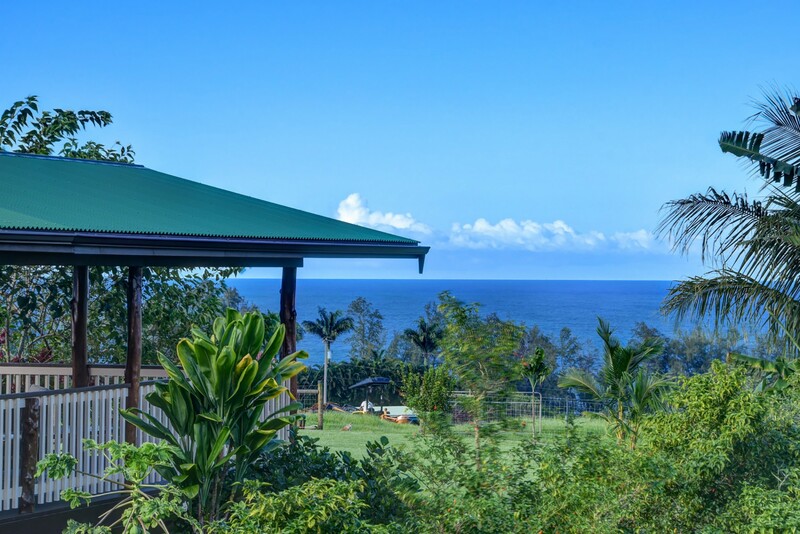 Aloha Mahiai, a remarkable 14.9 acre property with so much to offer! 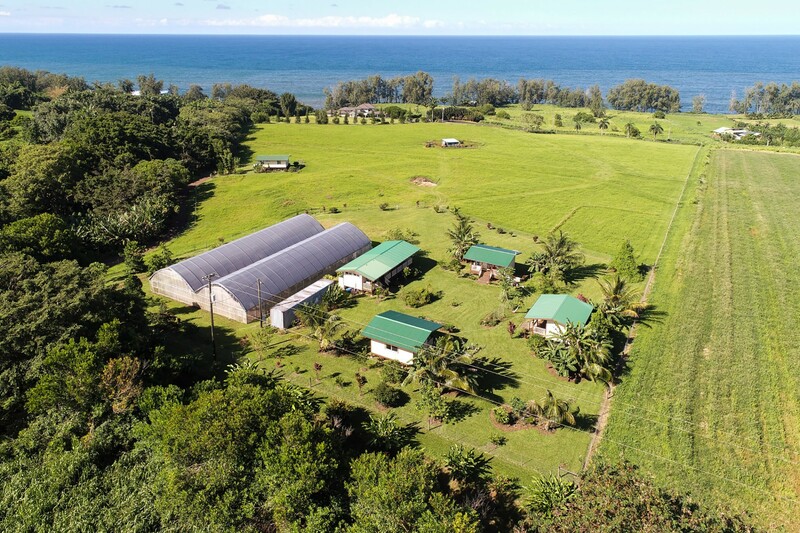 Sloping acreage of green pastures that lead out to a magnificent unobstructed and panoramic ocean view to the east and of majestic Mauna Kea to the west. The northern boundary is a year round stream with multiple waterfalls and swimming holes. To the south, only 12 miles away, is Hilo town. 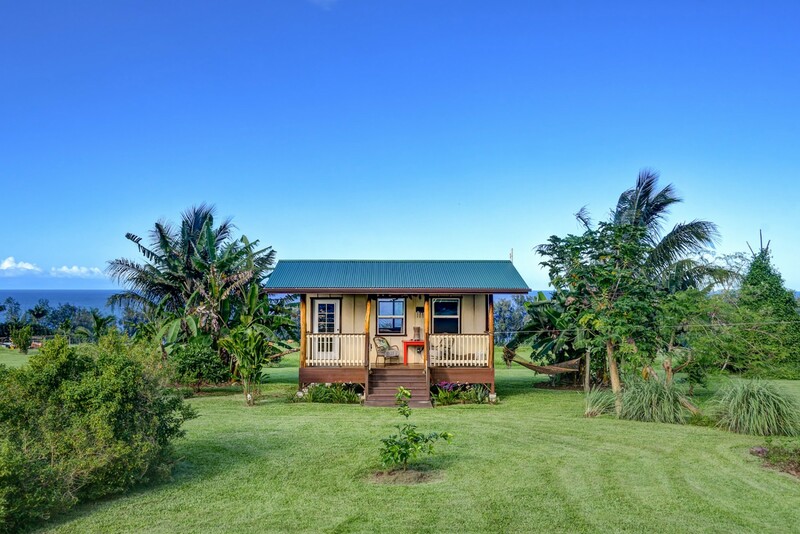 The property currently has 3 Hawaiiana style guest cottages, a kitchen and bath building and a one bedroom home, known as the "waterfall cabin". Add to that two huge greenhouses/warehouses of 7,560 square feet with a 1/2 bath, giving you an endless number of possible uses. The acreage is fully fenced and cross fenced with access from Old Railroad Way, or from Beach Road in the gated subdivision of Pepeekeo Shoreline. This property is included in that prestigious subdivision and has county water and HELCO electric, underground, eliminating poles or cables. A prepared building site is ready for your estate home with the power and water to the level building site. A septic system is installed and rated to allow for further construction. There are numerous pieces of equipment included in this sale, including a 45 horse power tractor and a zero turn riding lawn mower. Numerous fruiting trees are already planted and the landscaping includes many tropical varieties of plants and flowers. A lot of thought and love went into creating the beauty of the structures with their Ohia beams and beautiful finishes. 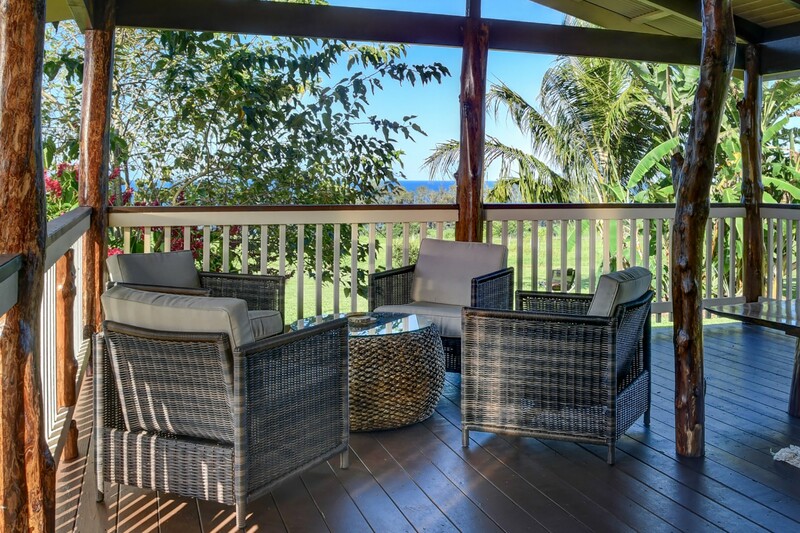 This is a very special property, located in a perfect location for trade winds, amount of rainfall, sunshine quotient and end of the road privacy. 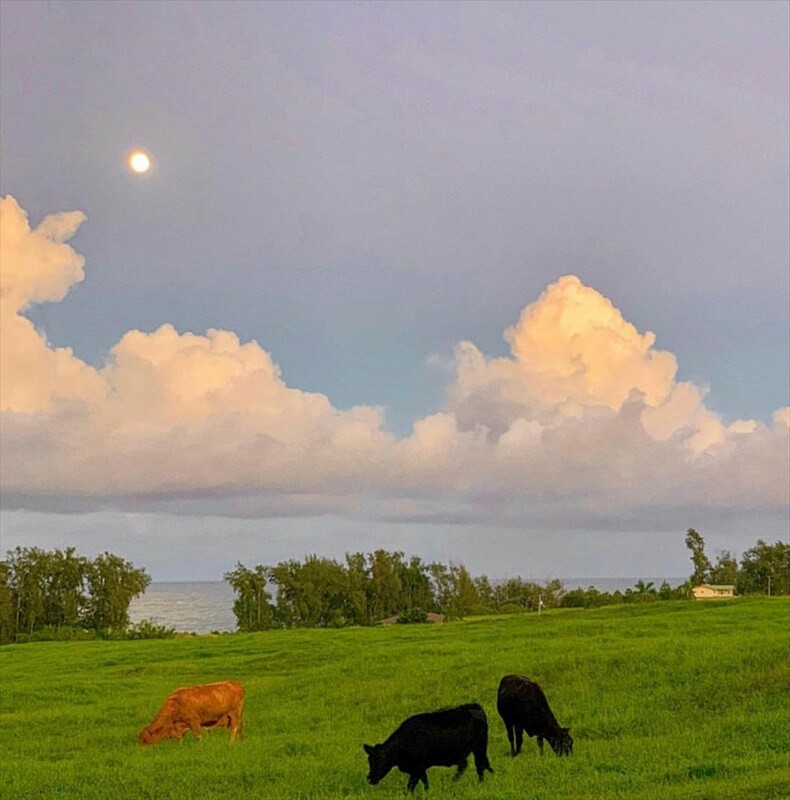 Come home to this oasis of tranquility, a sustainable farming community setting with the deepest soil on the island, majestic ocean views and serenity caressed by the trade winds of the Hamakua coast. A unique estate must be experienced in person. Visit and be enchanted.